A good reason to look forwards to fall! As we Denimologists are always on the lookout for what’s eye-catching and trendy, we came upon two super cool styles. Check them out here, from LA brand SIWY, a brand that always is right on trend and absolutely rocks: The Hannah Rogue, shown above, and the Colleen Risque. The Hannah Rogue is special, nostalgic and a very wearable version of a fashion forward trend. It’s a conversation starter that has a classic appeal. Cropped at the ankle, this style is meant to be snug, highlighting the figure. The Hannah has a magical inseam, which is graded to create the perfect skinny for petite figures, while also creating a flattering crop for the taller figure. The Colleen Risque is denim + scuba which is a ‘vegan’ alternative to leather. Scuba is a flattering, contemporary fabric that was derived from surf gear but has become an important fabric in runway and contemporary markets. 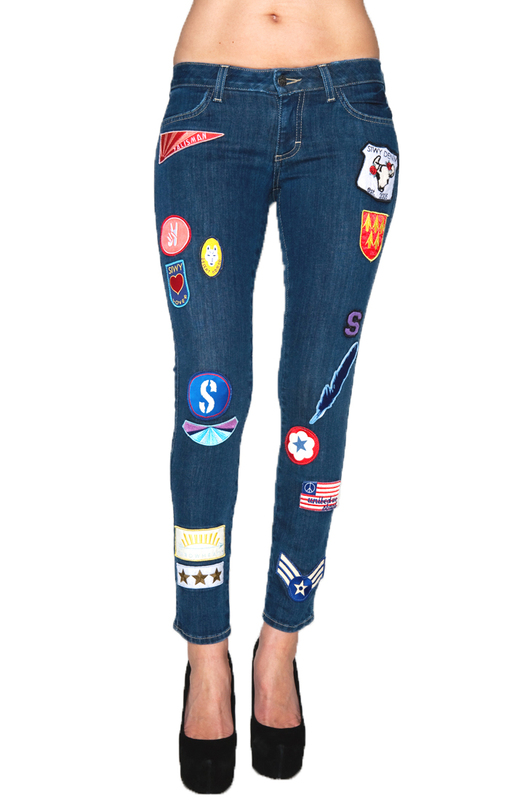 These jeans are not available yet, but you should be able to buy them in a couple of weeks online.